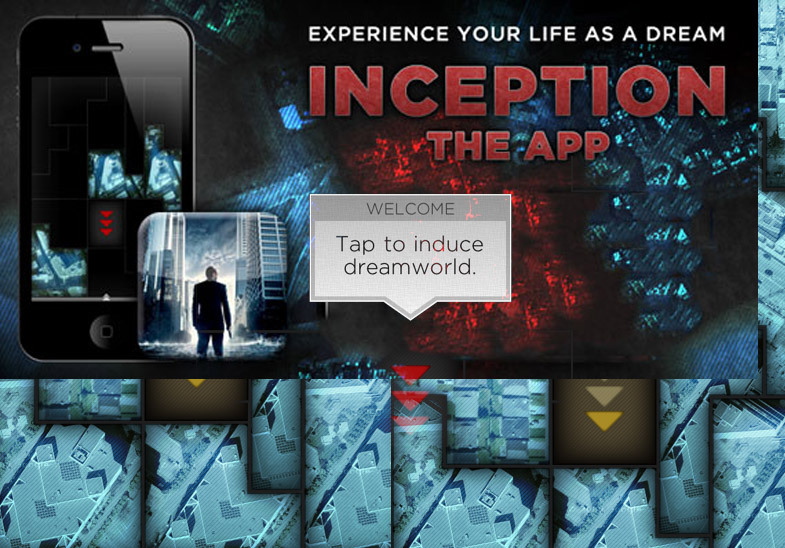 Dream Inception is a marvelous augmented soundscape mobile phone app with a very interesting idea. The app mix in real time some music and sounds from the movie with real sounds from the surrounding captured by the microphone of your mobile. The result is a strange feeling to be in a dream, try it :) !